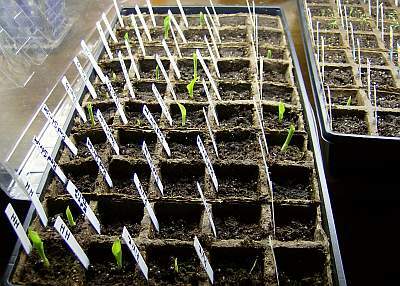 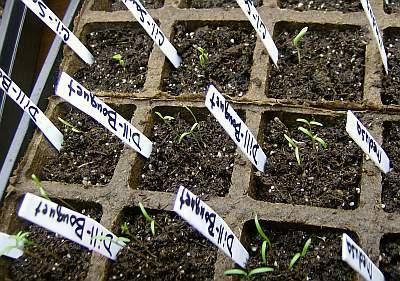 It’s been nine days since I posted a photo of the seedlings. 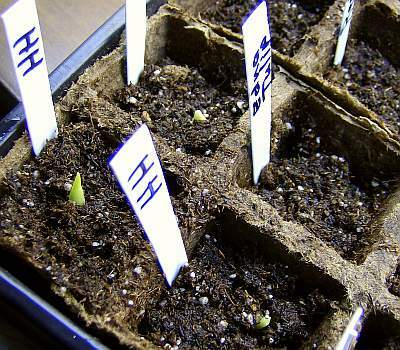 It sure seems like they are rocketing skyward. 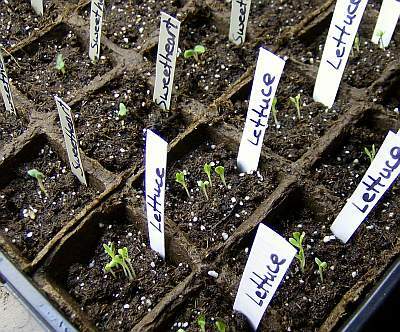 I will pot up the larger ones in a week or so. 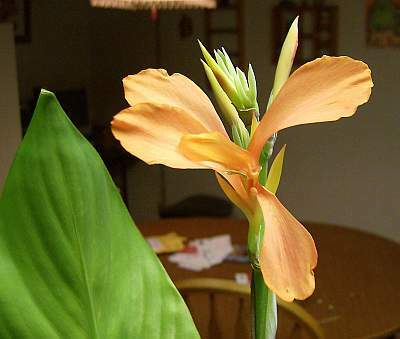 This darling pink canna is blooming in the house. 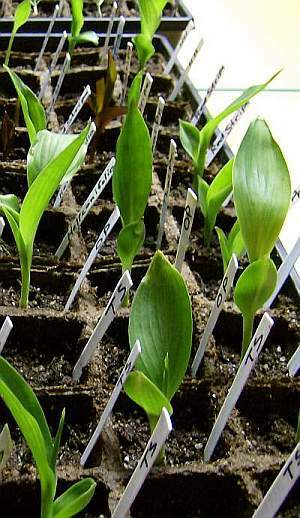 On the day it snowed, I could not stop myself from bringing in some of my canna seedlings. 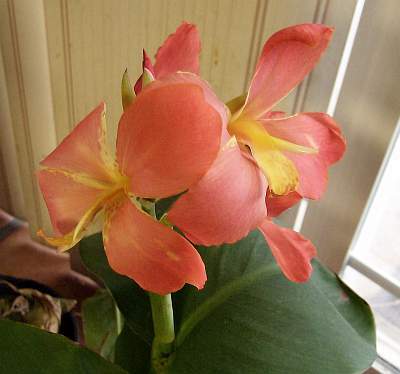 I grouped them up by the sliding glass door and they are starting to bloom! 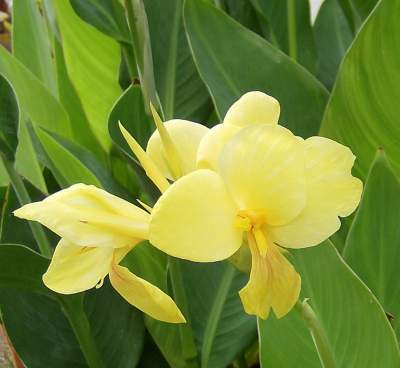 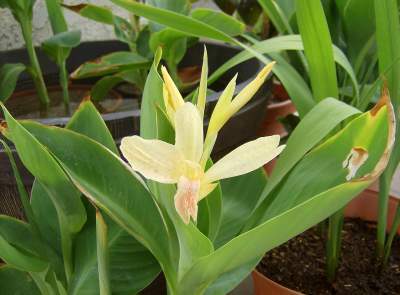 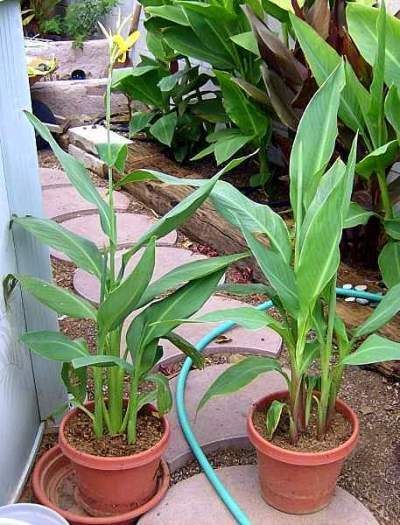 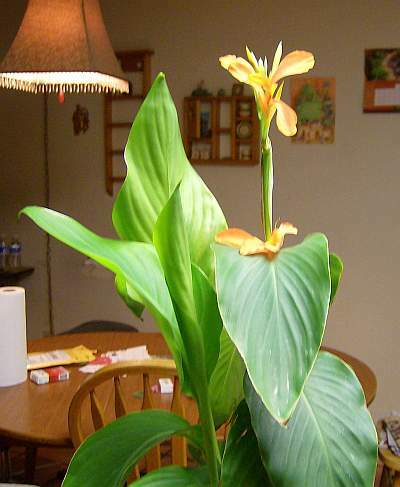 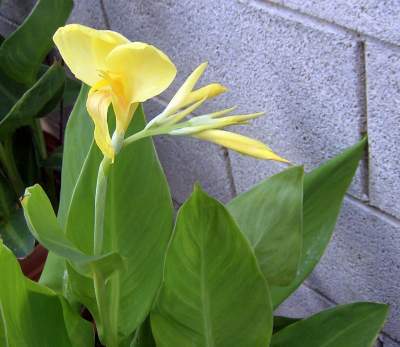 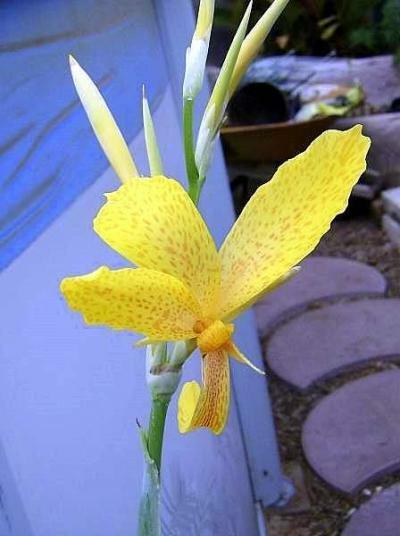 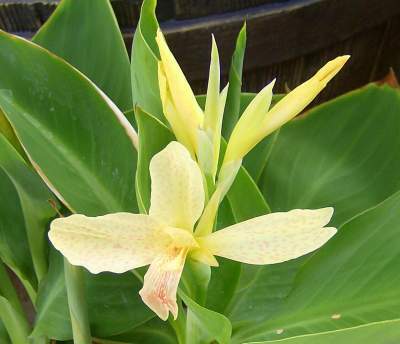 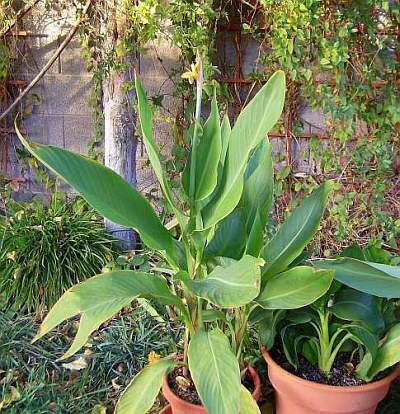 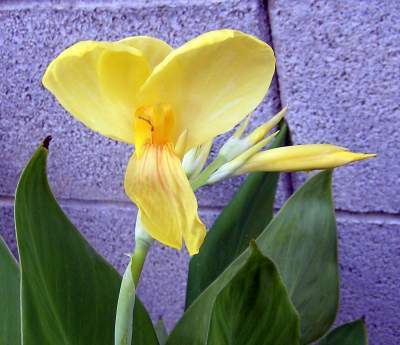 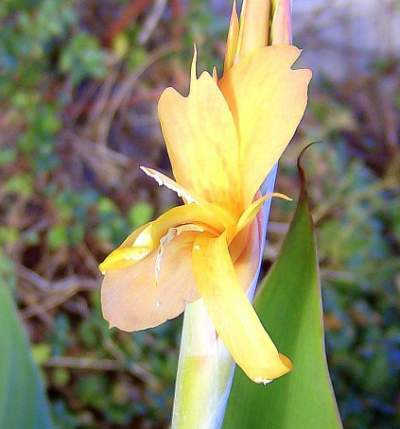 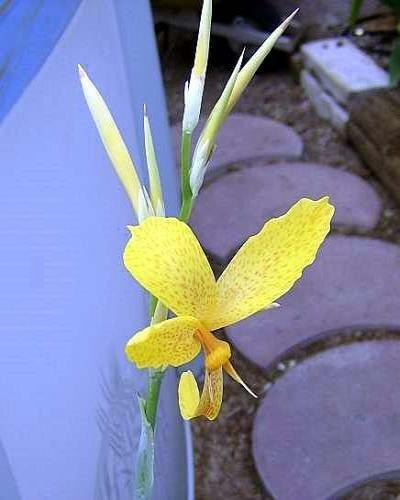 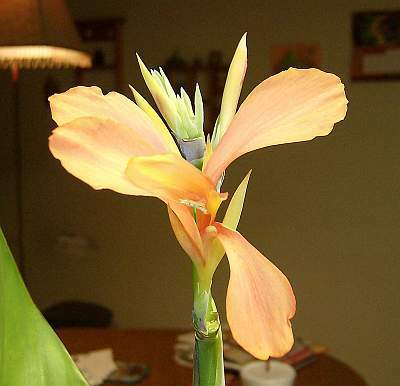 This canna grew from a seed of the dwarf white Ermine. 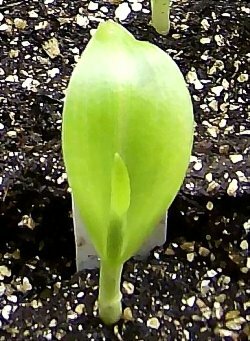 It seems to be a dwarf, also. 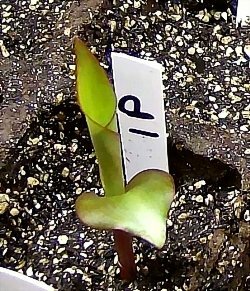 The foliage looks just like the leaves of Ermine. 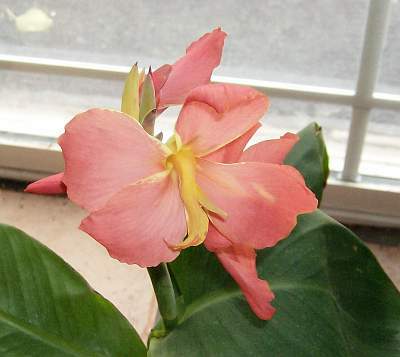 I love the yellow markings on pink. 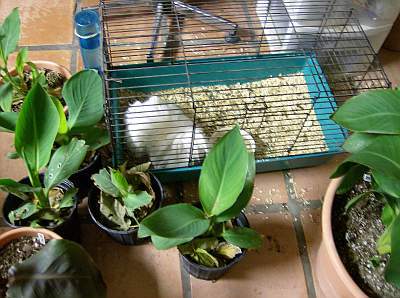 Snowman, the guinea pig, enjoys living in a canna forest.